When I saw the announcement that Google had released a Latitude iPhone app, I figured ‘Hey, about time Google got into the location game’. After all, Google Latitude was one of the first location services to hit the market. However, Google never took the location services space seriously which allowed services such as FourSquare, Gowalla and of late Facebook Places to establish themselves as key players in this area. Key to their success have been the elements of active participation (check-ins), incremental rewards (badges and discounts at venues), social suggestions (venues/activites frequented by friends) and serendipity (discovering some friends are at a nearby location). 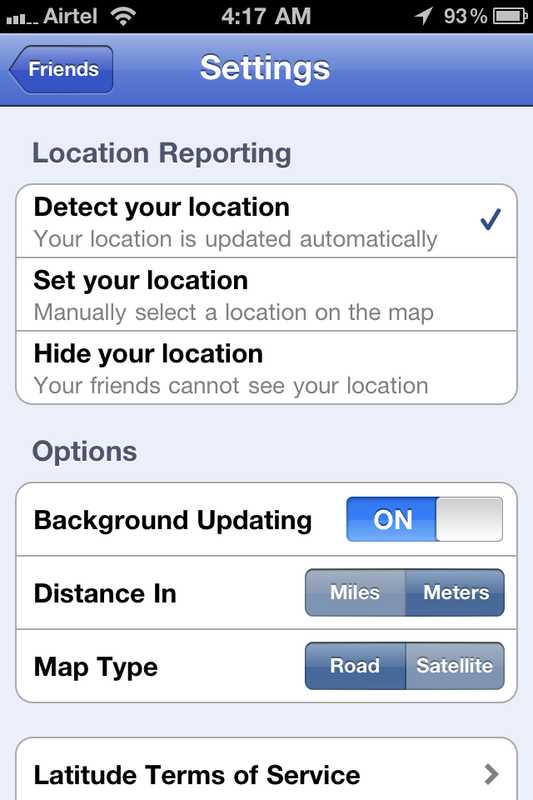 What makes the problem worse is that the app tracks your location ALL THE TIME, is ON by default (screenshot below) and opt-out by nature! This issue is not only a serious privacy nightmare, but can also be a major resource hog and drain your smartphone battery quite fast. Bottomline: Don’t waste your time on Google Latitude. It is just another one in a long list of failed social forays from Google.